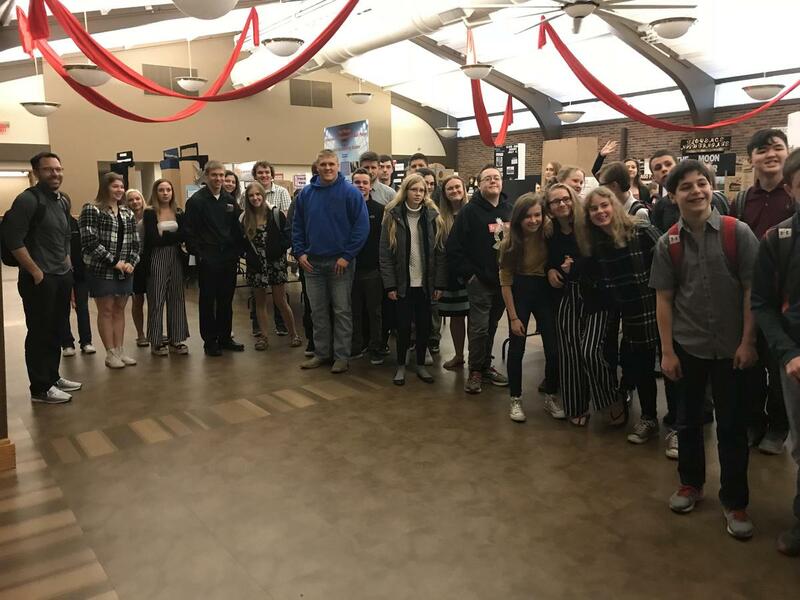 70 Madrid Elementary, Junior High & Senior High students participated in the district National History Day competition at Central College in Pella on Wednesday, March 27. 70 Madrid Elementary, Junior High & Senior High students participated in the district National History Day competition at Central College in Pella on Wednesday, March 27. Students in 6th, 8th and 11th grade all complete an NHD project as part of the social studies curriculum, participating in a local competition. 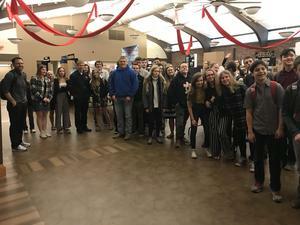 Some students with outstanding projects then advance on to the competition at Pella with their displays, papers, websites, documentaries and performances related to this year's theme, Triumph and Tragedy. Many Madrid students are moving on to the state competition next month. Congratulations, Tigers!